Google is making new real estate deals in connection with its planned expansion in San Jose. Google is gobbling up properties, rapidly expanding its footprint in the South Bay. The Mountain View tech giant's development partner, Trammell Crow, has picked up a plot of land behind San Jose's Diridon Station, the Mercury News reported. The latest purchase highlights the idea that the proposed Google village will be transit-oriented. TC Agoge Associates, a Trammell Crow affiliate, shelled out $3.2 million on Aug. 8 for the parcel at 59 S. Autumn St., right next to the actively used tracks that bring light rails to the station, according to the Mercury News. However, the land was valued at $88,000 in its most recent assessment, the newspaper said. That means Google handed out about 36 timesthe parcel's assessed price. The purchase sheds light on the possibility that property values will skyrocket as Google continues to invest in land for Silicon Valley's latest tech campus, which is on track to be double the size of the company's Mountain View headquarters. 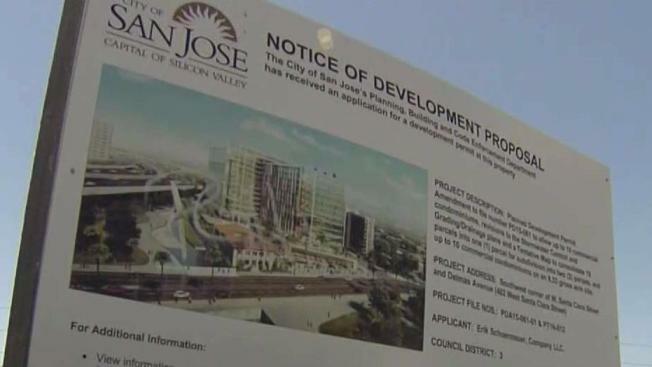 San Jose has entered into exclusive talks with Google to sell it about 250 acres of space near Diridon Station. So far, the tech behemoth and Trammell Crow have spent more than $144 million, snatching up 19 plots of land in the vicinity of the SAP Center, the Mercury News found. Google says the project will feature roughly eight million square feet of office space and bring as many as 20,000 new jobs to the area around San Jose's Diridon Station. The city hopes the Google village will propel the station toward becoming the Grand Central Station of the west.